Security operatives have gunned down some armed robbery suspects after tracking them down to a local brotel in Sapele area of Delta state. It was gathered that the security men who had been on the manhunt for the notorious robbers, traced them to the brothel along Adeola by Crudas road junction in Sapele – where they were probably having fun on Wednesday. They were shot while trying to escape after sighting police. 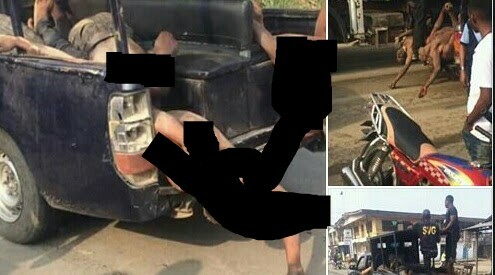 This is coming days after a police man attached to the Delta State Police Command, was killed by suspected bandits in Asaba, the state capital. Two rifles and a pistol were also reportedly carted away by the bandits during the attack on the policemen, who were said to be on a stop and search duty in Asaba.